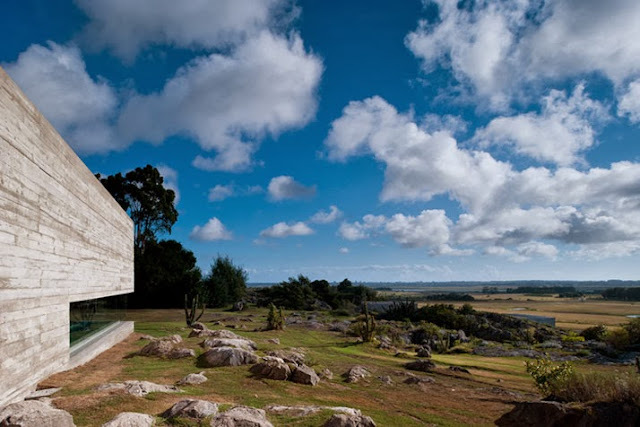 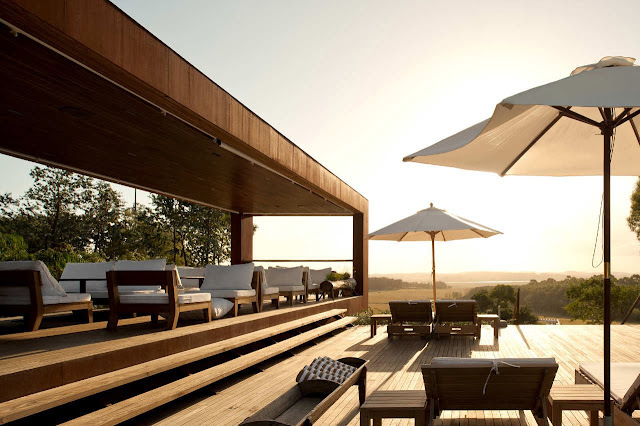 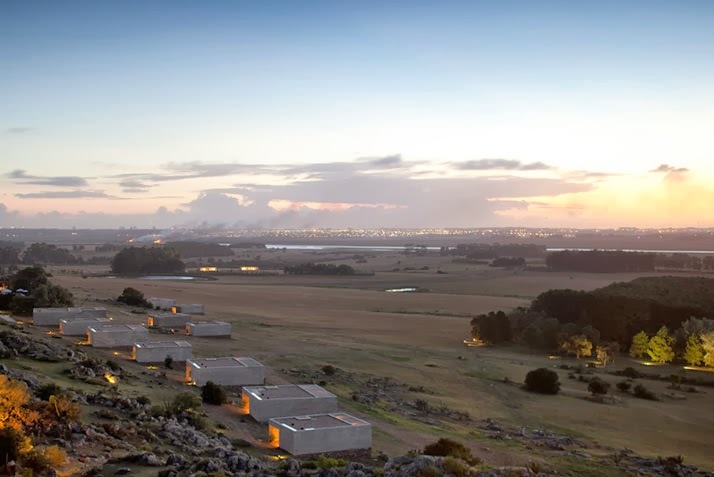 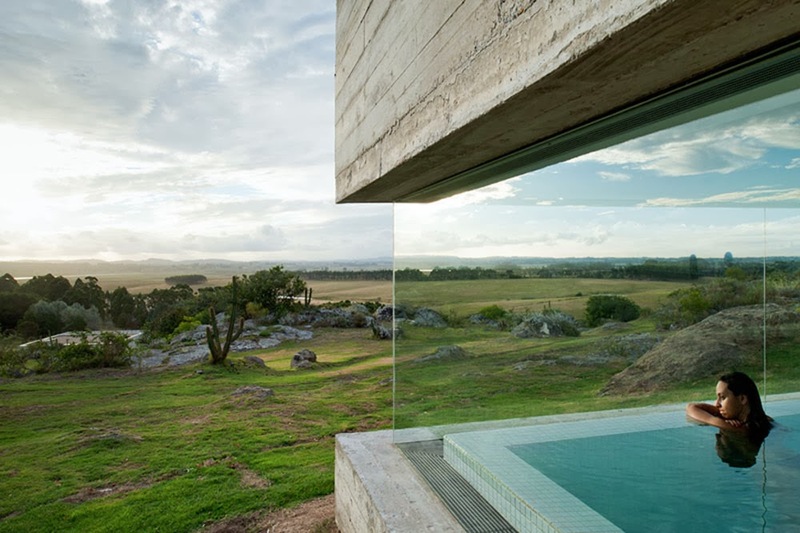 Las Piedras Fasano is a dreamy hospitality complex in Punta del Este, Uruguay, designed by architect Isay Weinfeld. Completed in two phases, commenced in 2008 and completed in 2011 the complex of 43,000 sqft consist of hotel bungalows, private homes and common amenities: spa, equestrian center, golf, polo field, in a front sea site with a rural landscape. 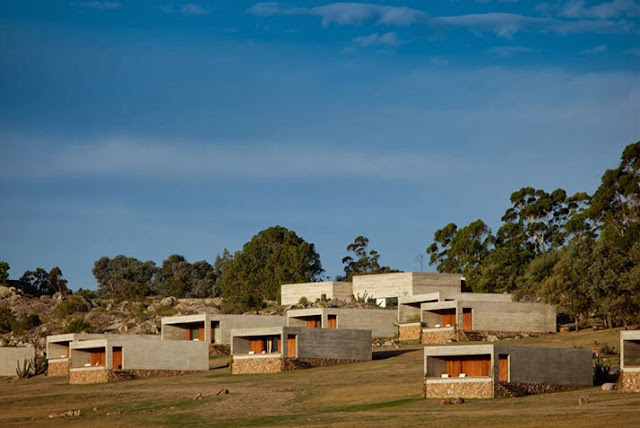 Housing units and bungalows are scattered as isolated modules, “landed naturally” on the site like rocks, with their concrete forms characterized by exquisite simplicity. 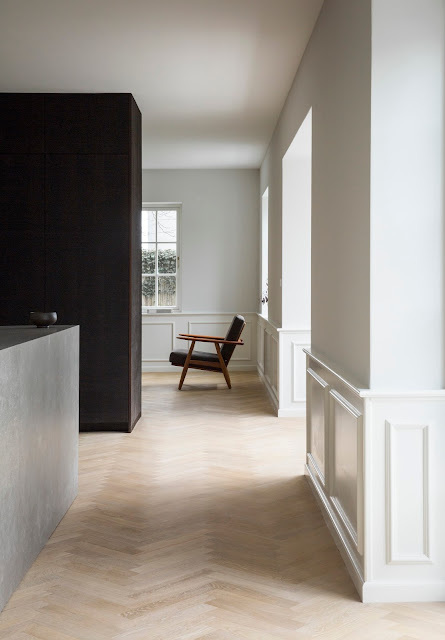 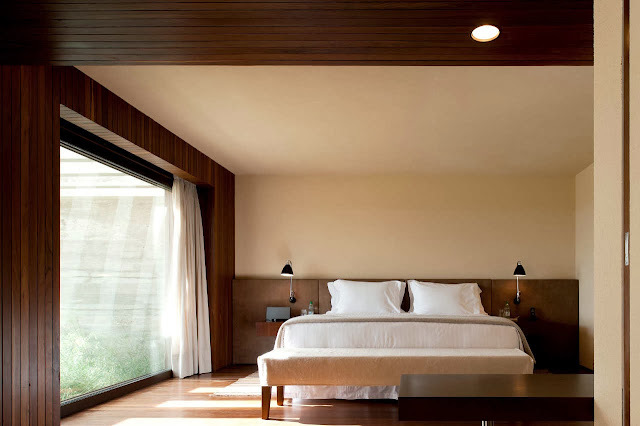 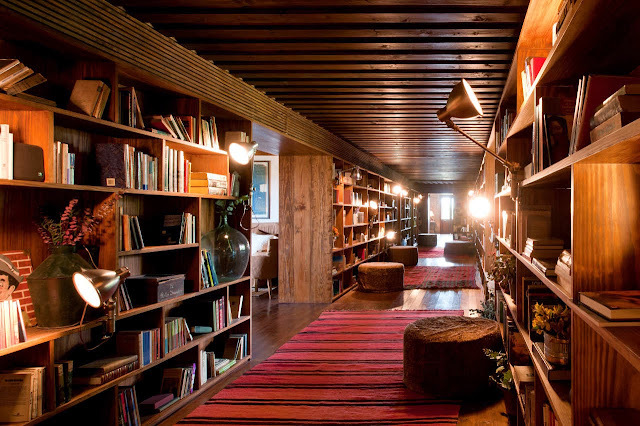 The interiors reveal a unique, tranquil and intimate atmosphere, through the extensive use of worn out woodwork on walls, doors, ceilings and floors that also extend to exterior decks. 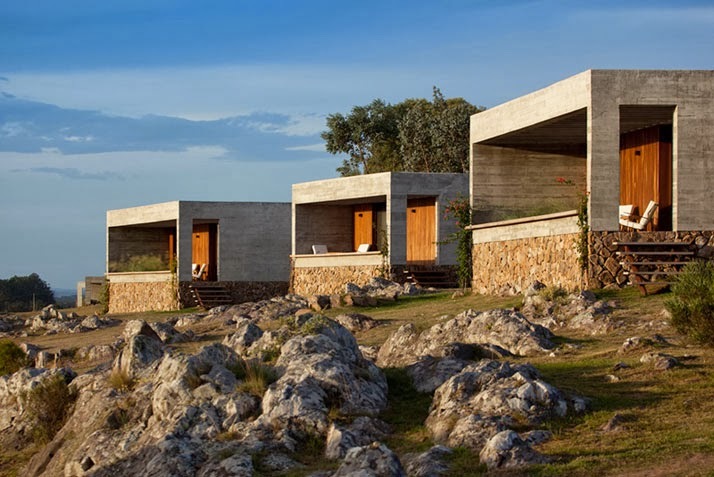 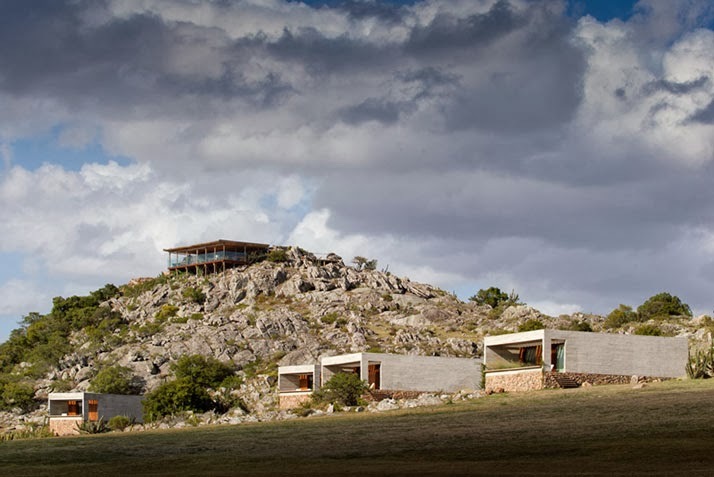 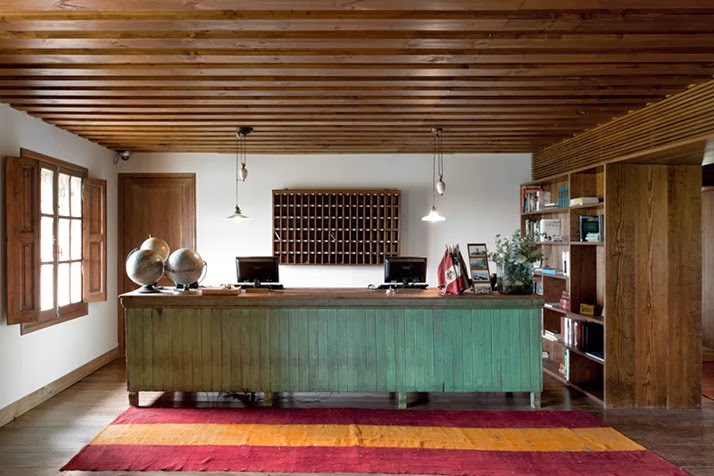 Las Piedras Fasano is a hospitality complex in Punta del Este, Uruguay. It combines private homes, hotel bungalows and other amenities – spa, equestrian center, golf and polo fields and a 3-km beach stretch on the riverside of Arroyo Maldonado -, spreading across vast 480 hectares dominated by a dramatic and dazzling landscape: arid, rocky, with sparse low vegetation. The scenery inspired the previous owner to erect, with the rocks found in the area, his home and studio. 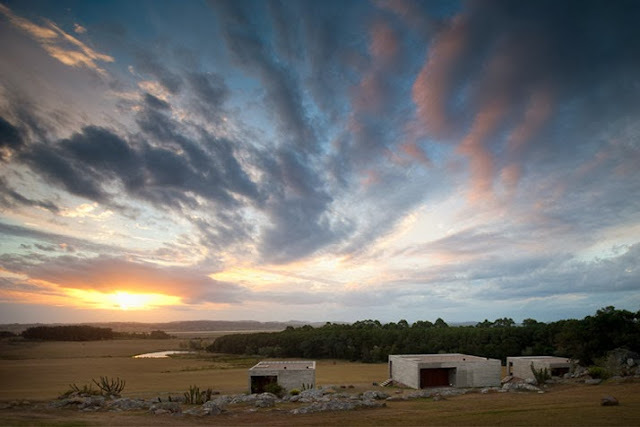 Upon our arrival to the first land reconnaissance visit, we had no doubt those buildings – rustic and of unique workmanship – should be preserved. 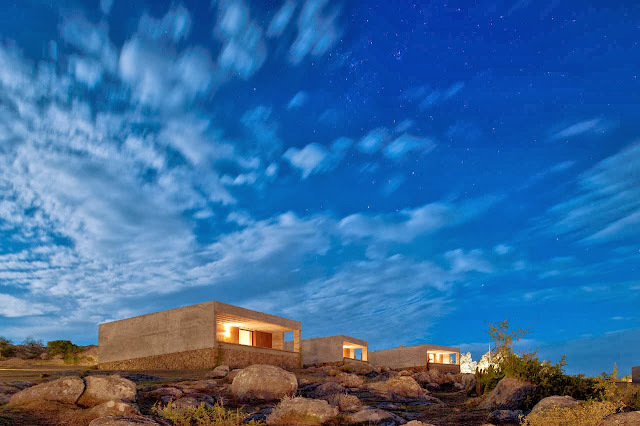 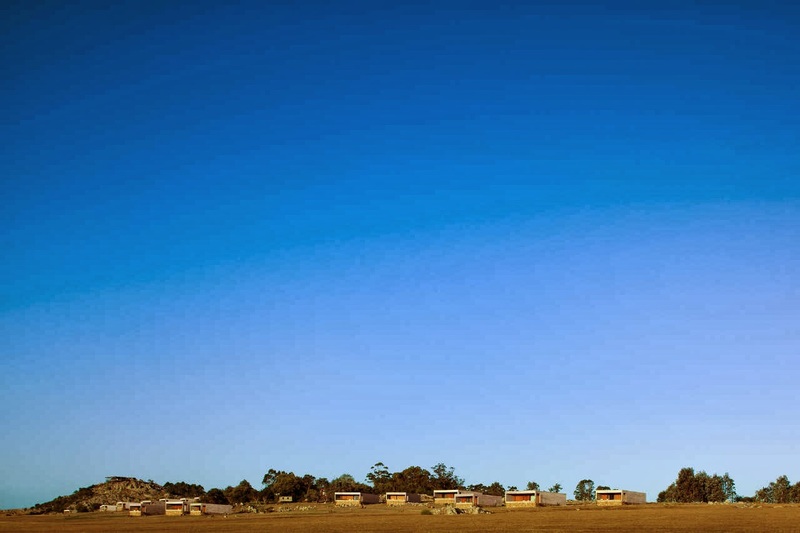 The detailed study of the program/client brief led us to resort to scattering the units making up the complex, conceived and distributed as isolated modules that “landed naturally” on the terrain, such as the rocks themselves – a solution intended at preventing the erection of massive buildings or volumes that might excessively interfere with the landscape. 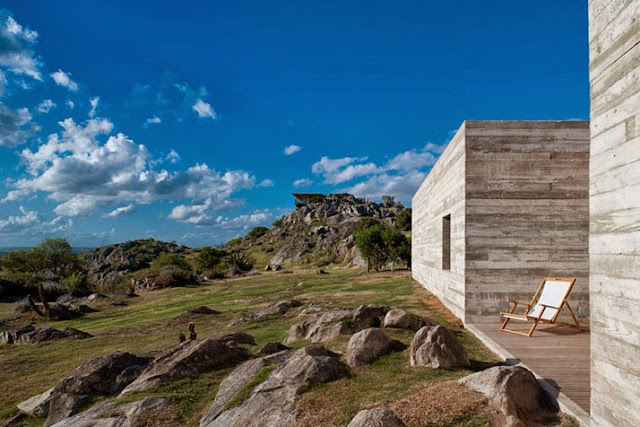 It also led to the decision of setting the hotel reception and the Las Piedras Restaurant at the ancient home and, at the studio, the Fasano Restaurant. All other structures – 20 bungalows (860sqft or 1290sqft), the spa, the swimming pool bar and the lounge for events – were built following the same concept, scattered around the property and laid just as the piedras themselves. 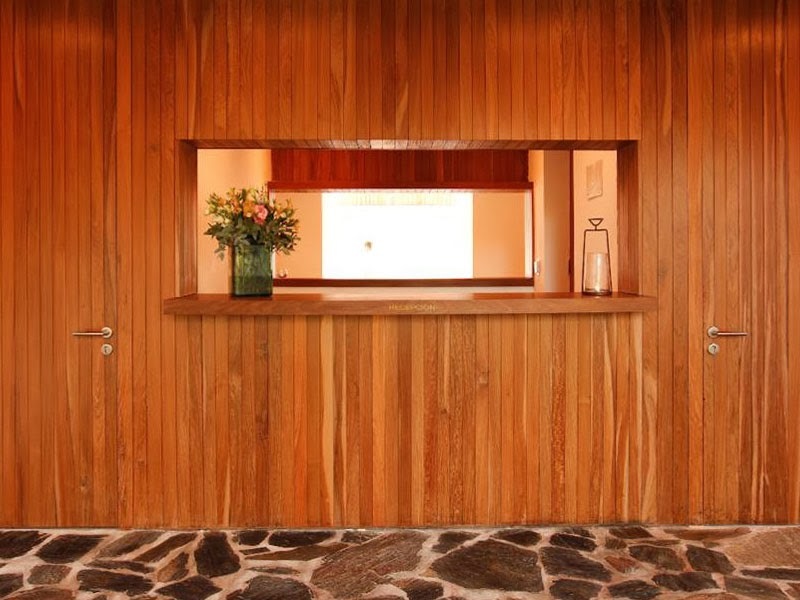 The ancient home to the previous owner was completely remodeled and expanded so to house the reception to the hotel and the Las Piedras Restaurant – where breakfast and lunches to the guests are served. 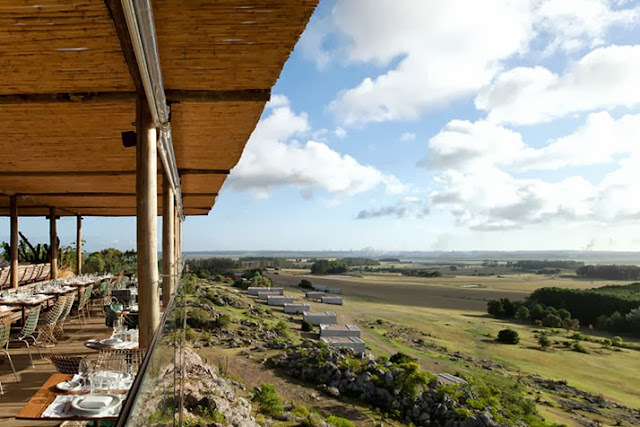 The restaurant occupies an entire wing in the U-shaped building, and features tables both in a salon and in a veranda – the latter, opening onto a small patio. 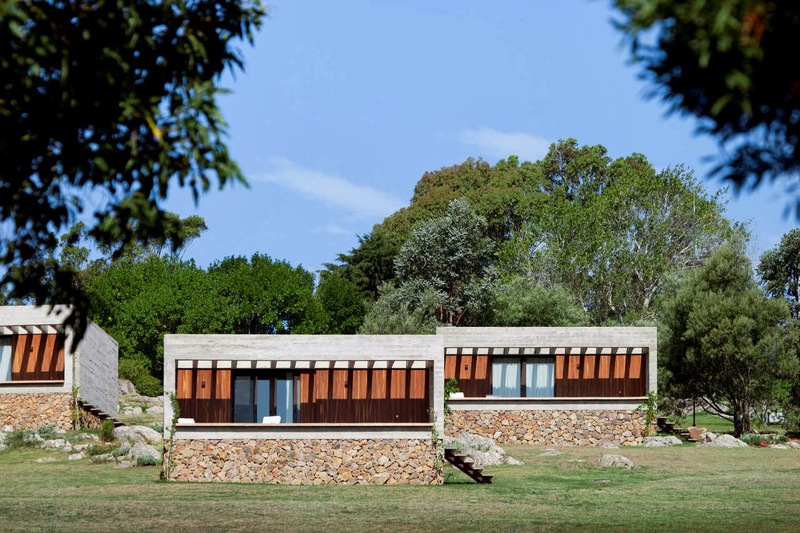 Very few interventions were made to the studio, built on the highest point of the property and offering prime views of the surroundings: internally, the wooden walls, floors, doors, windows and ceilings were kept; externally, a new wooden deck, at a lower level, was added to the existing one. 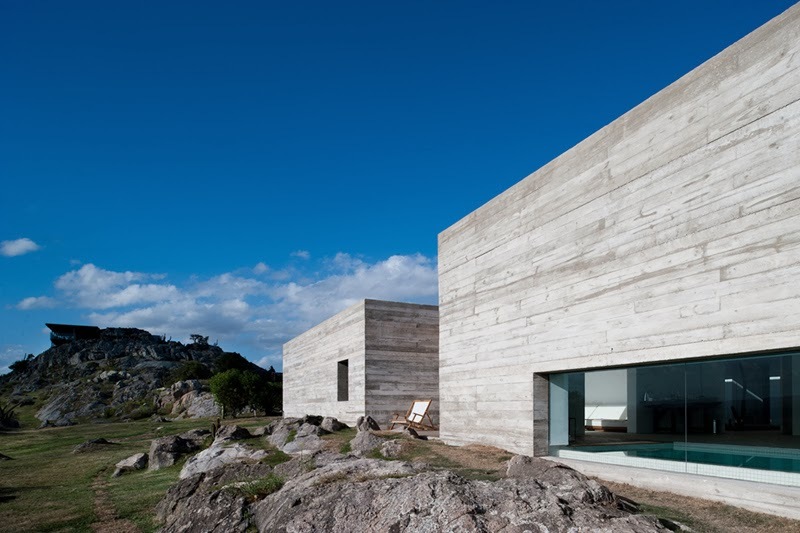 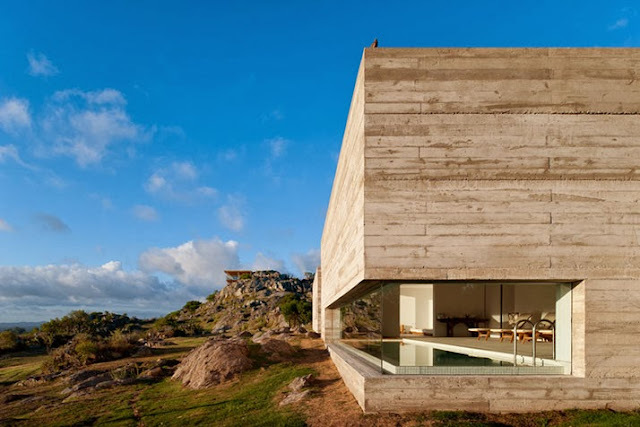 Interconnected to the studio, a completely new volume was built, to house the kitchen and supporting facilities: made of raw concrete and slightly lower than the stone house, it establishes a respectful relationship with it and does not stick out in the rocky landscape in any way. We decided to set the swimming pool in a hight part of the land, with privileged viwes to the surrounding landscape, taking yet advantage of a natural depression in the rocks. 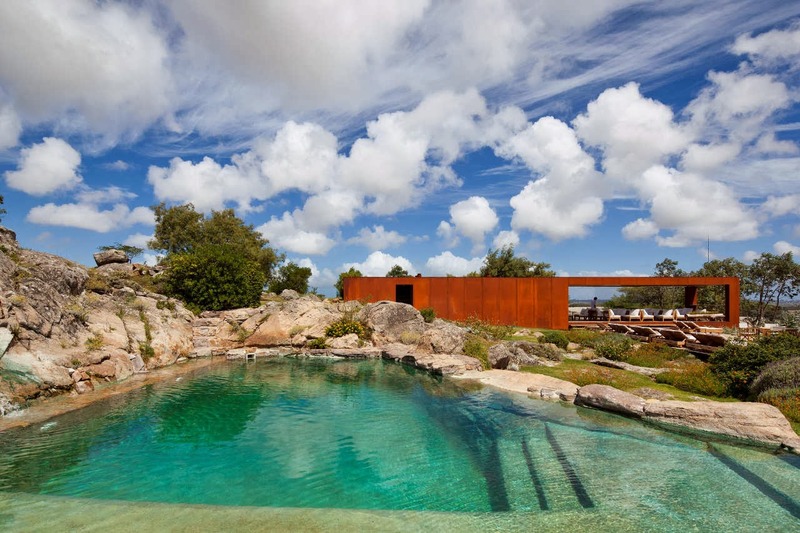 Just beside it, we placed a corten steel container to house the changing rooms, bar and lounge serving the guests in the swimming pool. 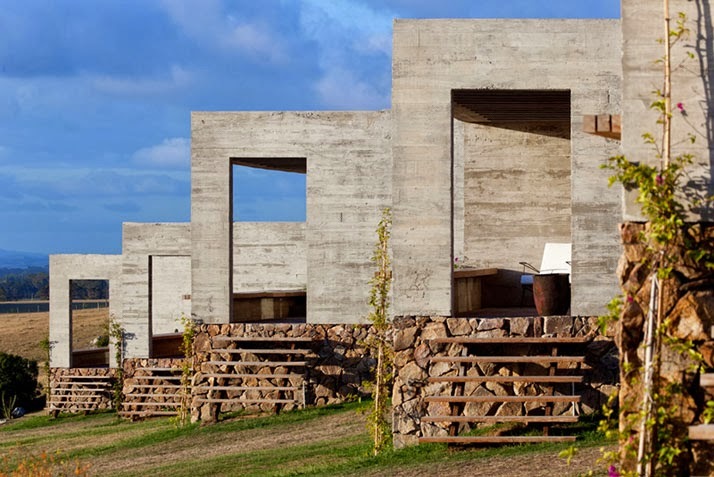 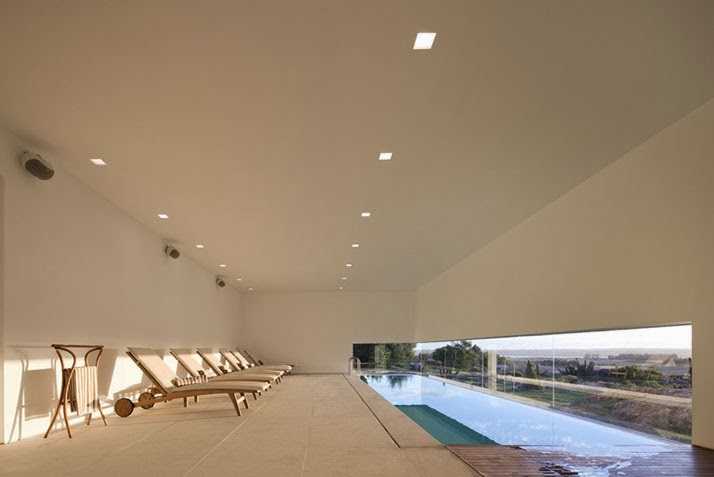 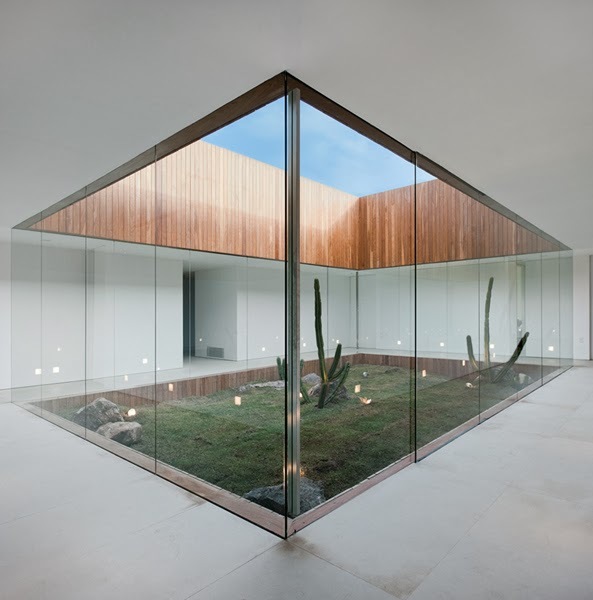 The spa built in Fasano Las Piedras hospitality complex is a single-story concrete rectangular volume, where rooms are placed in the perimeter leaving an open indoor garden in the centre of the building, around which all circulations evolve. 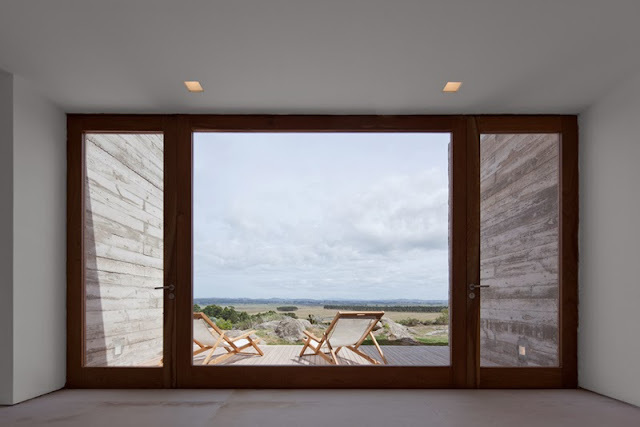 Serenity is to feel all around, through the choice of materials and filtered light that comes in through the windows open in the external concrete walls and skylights in the halls and rooms. 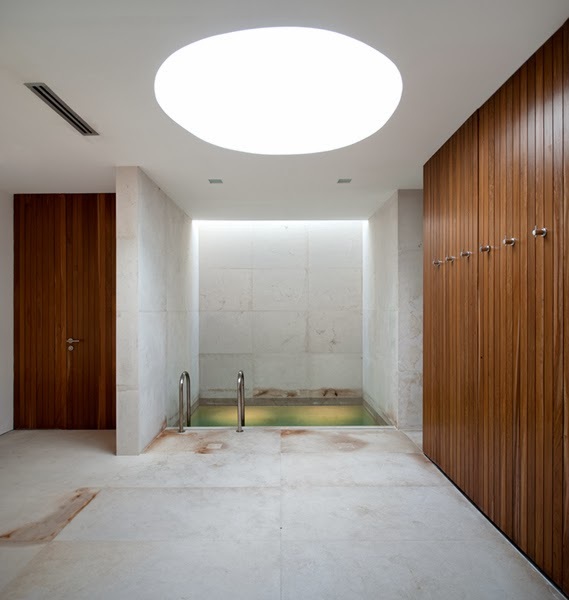 The spa features treatments rooms, dry and wet sauna, a swimming pool and relaxation room, besides a private suite.